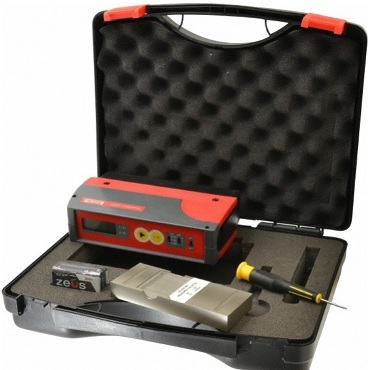 This surface roughness tester is Portable and Robust for Efficient Use in the Work Shop, Yet Delicately Precise for Inspection. Rz – (RTM) mean roughness depth (DIN). Max Stylus Force: 1500mfg/15.0mN *per DIN 4768. 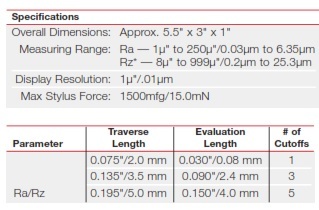 Standard Probes: For use on most surface roughness applications.Use 0.0002″ probe if Rz values are measured. 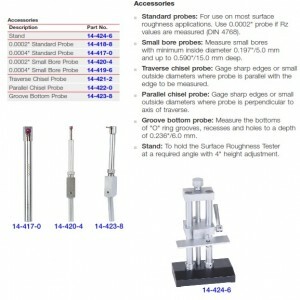 Traverse Chisel Probe: Gage sharp edgesor small outside diameter where probe is parallel with the edge to be measured. 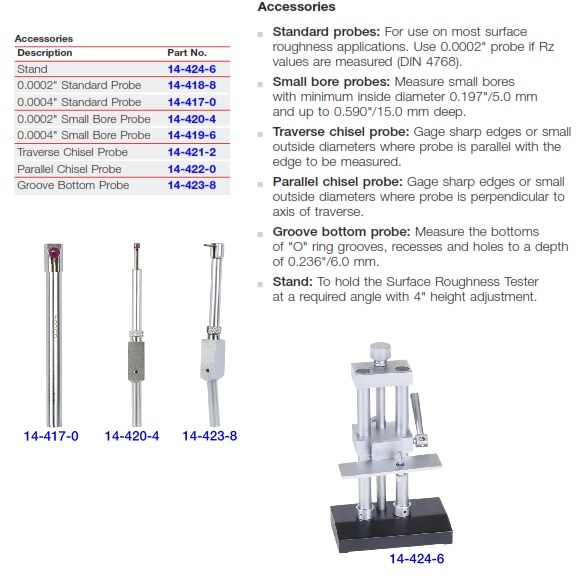 Parallel Chisel Probe: Gage sharp edgesor small outside diameter where probe is perpendicular to axis of traverse.